It has been a fantastic week end for Eurointernational and Giorgio Mondini in Mugello for the fourth round of Italian Sport Prototypes Championship. 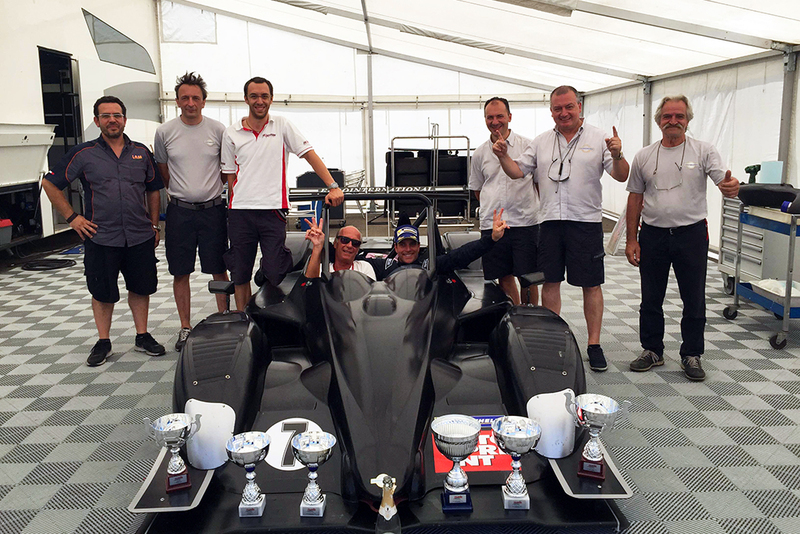 The italian-swiss driver made a fantastic job with two pole positions and two wins “flag to flag” onboard the Ligier JS 53 Evo II equipped with some new upgrades developed by the team directed by Antonio Ferrari. During Race 2, Mondini set a new lap record for this car in Mugello with a time of 1’42.340. This result comes after the positive debut some weeks ago in Magione, where Mondini scored the pole position together one victory and one second place with the standard cars, just few days after its delivery to Eurointernational with no test days. Now Mondini is leading the provisional championship standing with 117 points. The next round of the series is scheduled in Imola on 19-20 September.